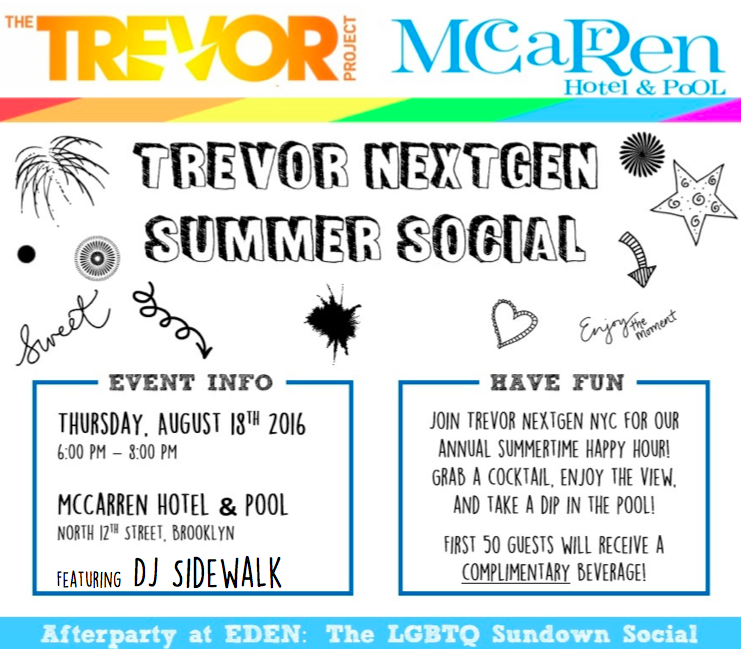 Come join the Trevor NextGen NYC team for our summertime happy hour at McCarren Hotel and Pool. Grab a cocktail and take in the view or take a dip in the pool, while enjoying the beats of DJ Steve Sidewalk! Socialize with members and learn more about The Trevor Project’s incredible work and ways to get involved. First 50 guests will receive complimentary beverage.